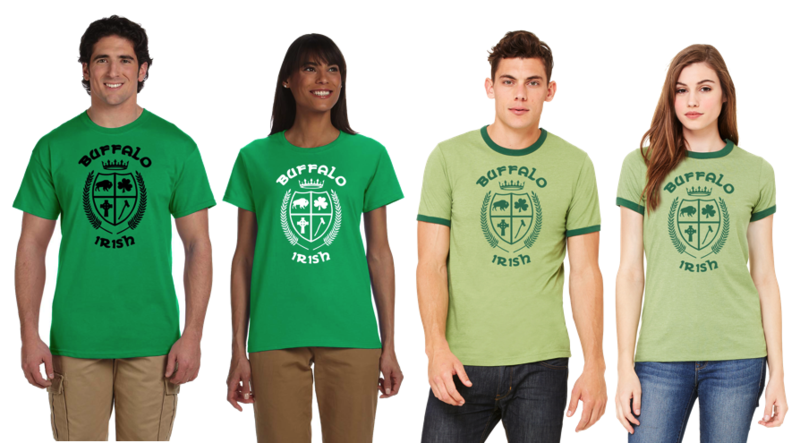 You know what they say, “Everybody wishes they were Irish on Saint Patrick’s Day.” Now you can celebrate both your Buffalo heritage and your Irish heritage in one cool design! We took a few of the most iconic symbols representing what it means to be Buffalo Irish and put them together in our Buffalo Irish Coat-of-Arms. We designed it with love so you can wear it with pride. Order Yours Today!